08:00 Said Communion at St Nicholas, Allington. 08:00 Said Communion to BCP. 19:30-21:00 Worship Committee in Church. 19:00 Quiz at St Nicholas. 10:00 Rated Home Carers Coffee Morning. The Electoral Roll opens for registrations. 19:15 Deanery Synod at St Nicholas, Allington. 19:30 Childrens Society Quiz at St Nicholas. The Electoral Roll closes for registrations. 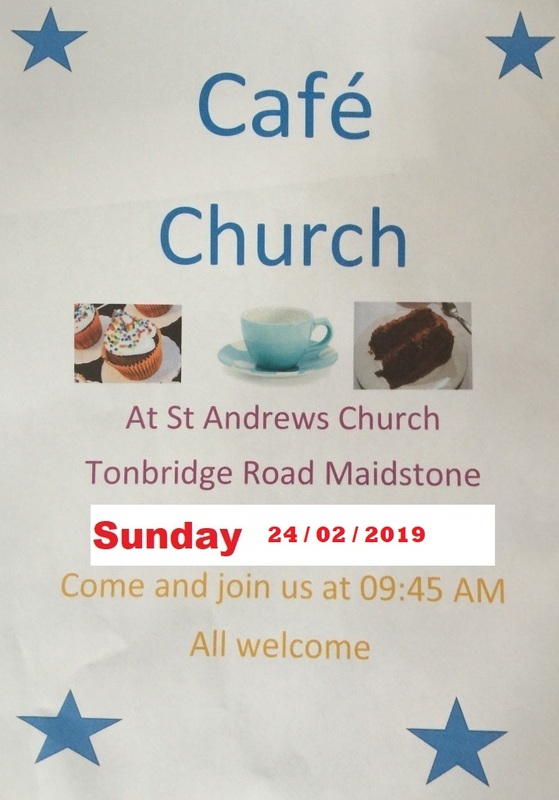 10:00 Benefice Communion at St Andrews with refreshments. 19:00 Maunday Thursday Supper at St Nicholas. 10:20 A Procession of Witness. 14:00 A Good Friday meditation and prayers. Friends of Kent Churches Sit, Ride and Stride. A Fish and Cip supper. These calendar pages give brief notes to remind you of forthcoming events and activities taking place in the Church and the Hall. Please refer to the weekly notices page for further details. If you have items for inclusion in the calendar then contact the site administrator.